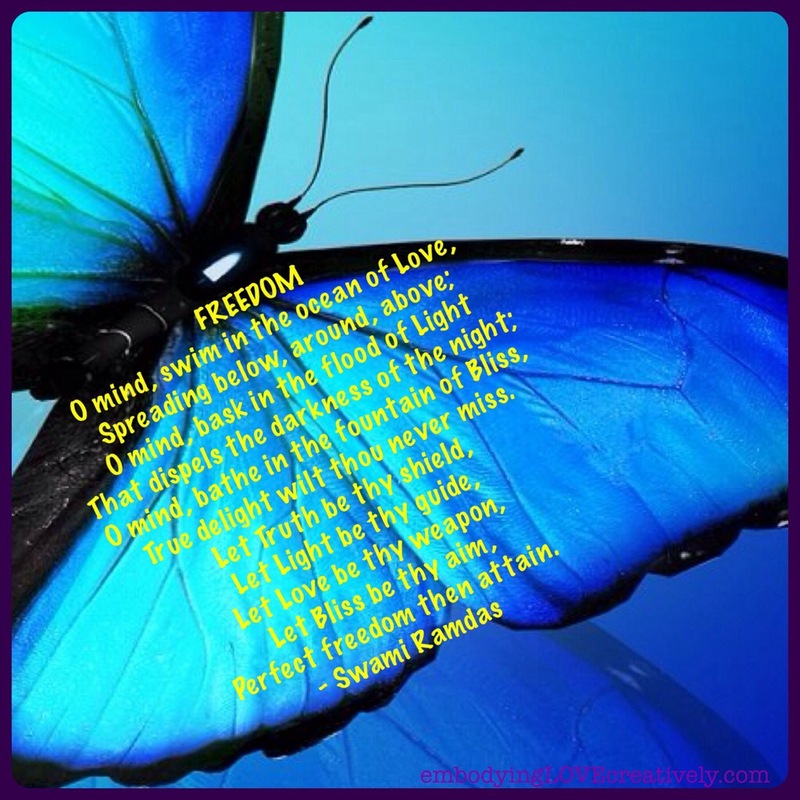 Flapping my wings in a liberating manner …. Today I am grateful for continuing to walk the path of liberation. I am grateful that through all my life’s ups and downs I continue to be moved by a longing to be free and to help others to be free. I am grateful that I have witnessed my path go from a fleeing mentality to a grounded, conscious, choice filled liberation to be embodied and make the most loving liberation possible for me and others. I am grateful that I have spiritual insights, poems, console, guidance and feelings come to from all kinds of lovely places. Yesterday I had a liberating experience come to me at my local co-op… I made a comment to someone I had not previously met in our small town community and his response opened up a place in me that led us to a beautiful few moments of connected Grace. We internally Namasted to each other with an external hands to the heart bow to each other as well. His opening response to me was something along the lines of the question “what is there to be protected from?” After that answer sunk in to me, I reengaged the man and pondered him with: “What if everyone in the world gave such a response? What a wonderful world that would be” !! WooHu . We continued on to conclude that the Grace of personally living from the place of peacefully true depths of the presence of not needing to be protected could lovingly change our personal world and that the effects of this will ripple out in Benefit. 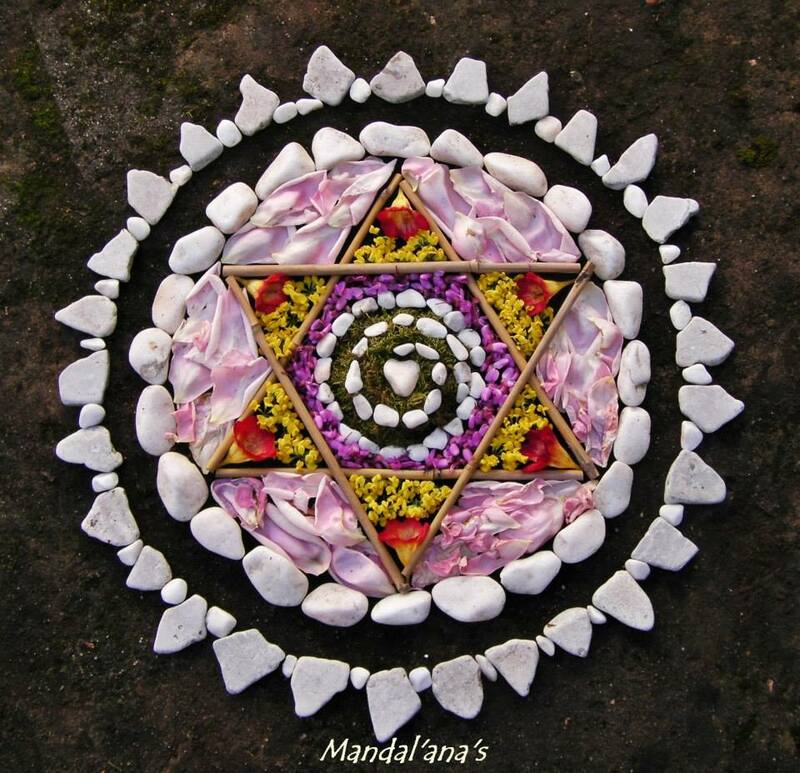 I am grateful that I allowed myself to comment to him that I appreciated his groovy mandala and that I was intrigued by how the Bodhi seeds were protected…..
By Allowing my point of attraction to be followed in a liberating manner, I gained more liberation! Yay! Thank you LOVE. Today’s reading brought forth tears as parts of me that have been silent for unknown numbers of years were touched and illumined by Loving Awareness. Thank you Sera Beak for not only having the courage and the drive to know thyself but to also share your process with me / us. Priceless, simply priceless. Because you are worth IT, you deserve to feel Alive. Many blessings to your journey back home to YOU, whatever path you choose to take, enjoy it and love it. 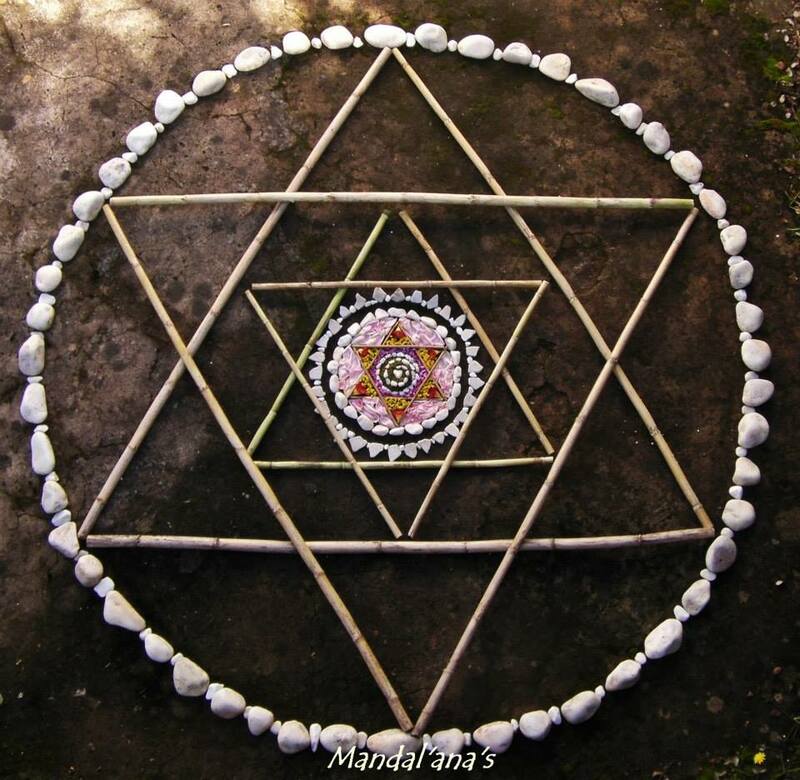 I have been “creatively working” with the heaven and earth star for a long time now and it was a deep treat for me to see the process of one of Ana’s creation that the pictures in the post illustrate. Seeing the steps it takes to create a beautiful masterpiece such as this, I am reminded that we are all in the process of development that is perfect for each of our unique paths. And, I was also prompted to reflect on my own process around allowing my own creativity to be honored. 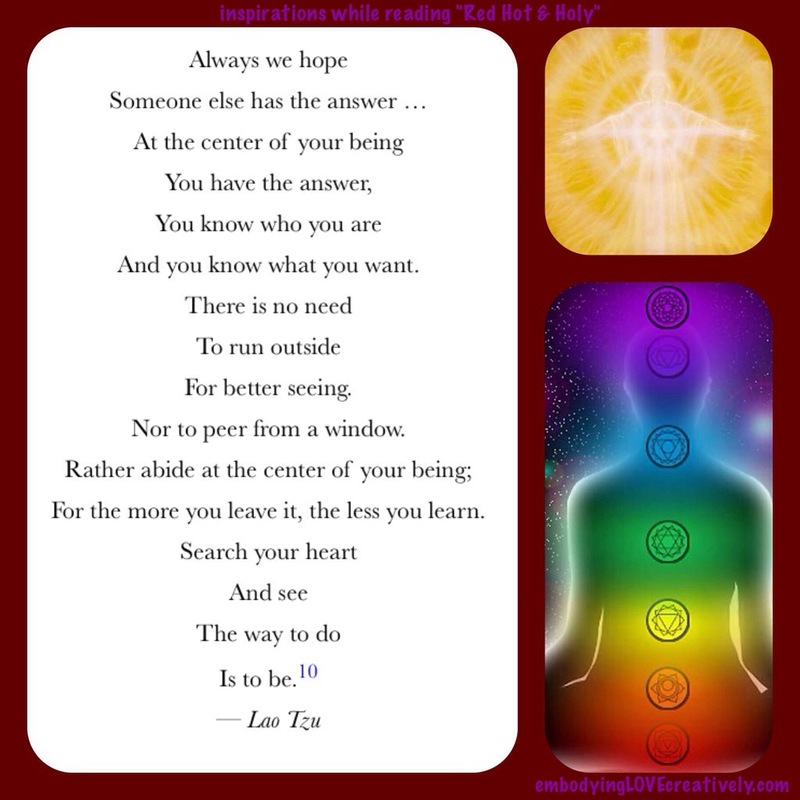 This reflection is what prompted me to create a post to share with you all. It has been a long walk, over many hills, through a few streams and at one point I think I almost drowned in the sea of my comparative mind. Praise BE that I am healing my relationship to my own creativity, my mind, my emotions, my body, and spirit. 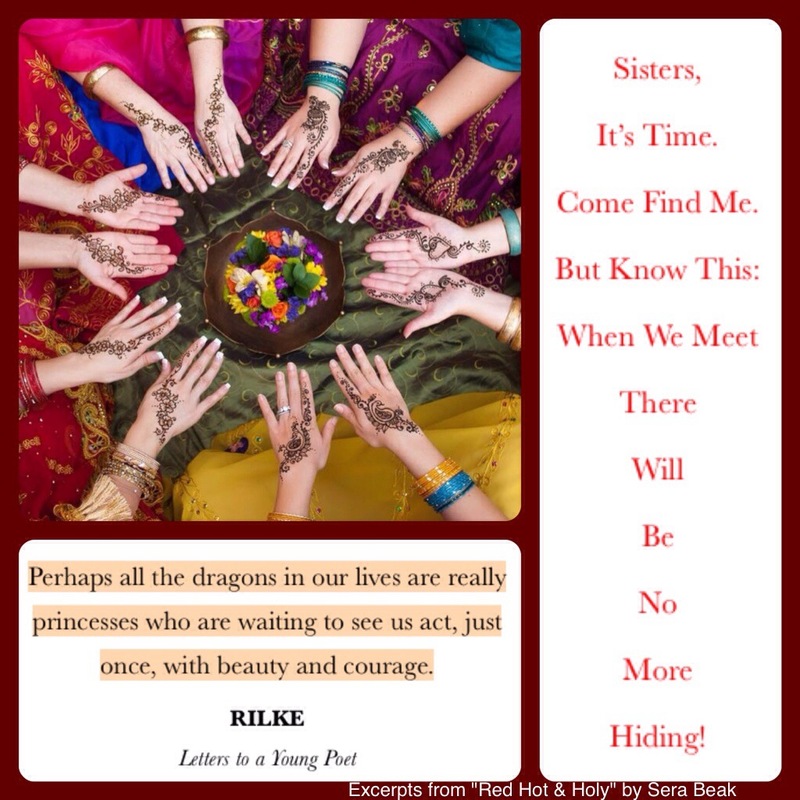 I hope to soon allow myself to clearly open my path to sharing more of ME with us ALL. The true freedom which we can all access within our hearts is so precious and patient. May we All find the keys to liberation and use them. In the past when I have seen other people do things similar to what I am “working” on, I would sometimes give up on my creations. My comparative mind would decide to stop me by creating (with my permission of course) the belief that someone else is already doing it better than what I can do. WELL, I am once again learning the lesson that I am free to be ME and that means loving and accepting where I AM at. I respect the gifts that comparing can give, while at the same time, I will no longer give my power over to my comparative mind and the painful isolation it once created with me. The path to liberation continues with every choice I make to Love and Accept myself. Every breathe we take can support us, if we let it inspire us. I choose to be INSPIRED and supported by other peoples INSPIRATIONAL BEAUTY. I AM learning how to honor THE BEAUTY which I am drawn to work with and BE. I feel that I am embodying LOVE creatively. This is a continual process that I will Love and Accept myself through, every step of the way. 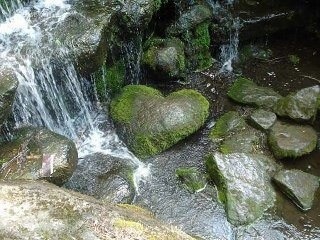 Every aspect of the process is Blessed by my intention to allow Love to guide me to Love. May my journey be of Benefit to You and of Benefit to All. Thank you to ALL of you who have walked the path before me and found your core BEAUTY and are LIVING it. I believe that by doing so, you make my path more open to success and for that I am lovingly grateful. 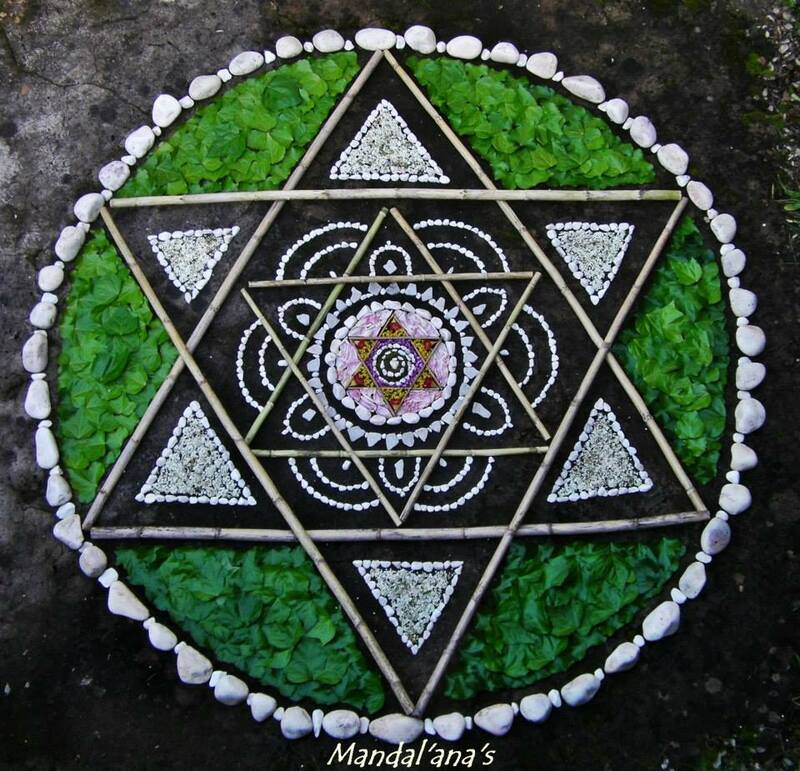 I sincerely appreciate the beauty of the mandala art I have shared within this post, so much so that I reached out to Ana of Mandal’ana’s recently to let her know how she has touched my life and to get her permission to use her art in my sharing posts with you. When I explore Ana’s art, I am viscerally moved by the depth of her connection with the natural world. The beauty she creates can only, in my opinion, come from a loving communion with not only nature but with the place that LOVE lives. Thank you, Ana, for sharing your love with us all. You can find Ana’s beautiful work on FaceBook at “Mandl’ana’s” and she creates pendants to sell privately and in her shop on Etsy. May the blessings of the springtime renewal be with us All. Over and over again we are given the gift of beginning again. Here and now in mercy and compassion. Breathing into the moment of life that I am currently residing in, I am newly me, and then again, I am newly me as I breathe again. I am inviting the ONE to begin anew with me in Mercy and Compassion. I allow myself to be present to now, beginning anew, letting go of past fears and limitations, so that I may begin again with Allah. May I and others who choose to do so, let ourselves truly BE with the ONE in Mercy and Compassion. Is it your body yet? May we as humble pieces of this great universal field of LOVE, remember the gift of being embodied spirits. May we remember to let Love guide us to Love. 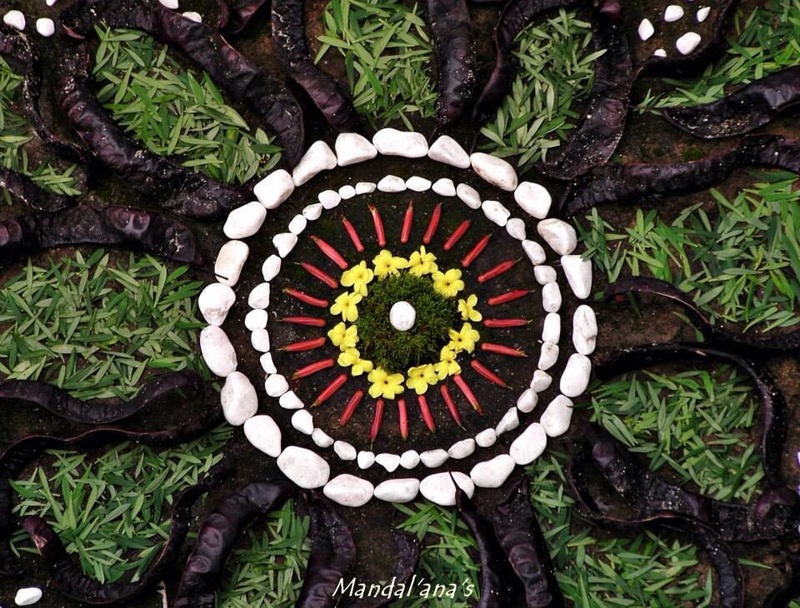 With great gratitude, I share the work of a beautiful woman whose work evokes the healing power of Nature’s Beauty, thank you “Mandal’ana’s” (who you can find, in representation, on FB). 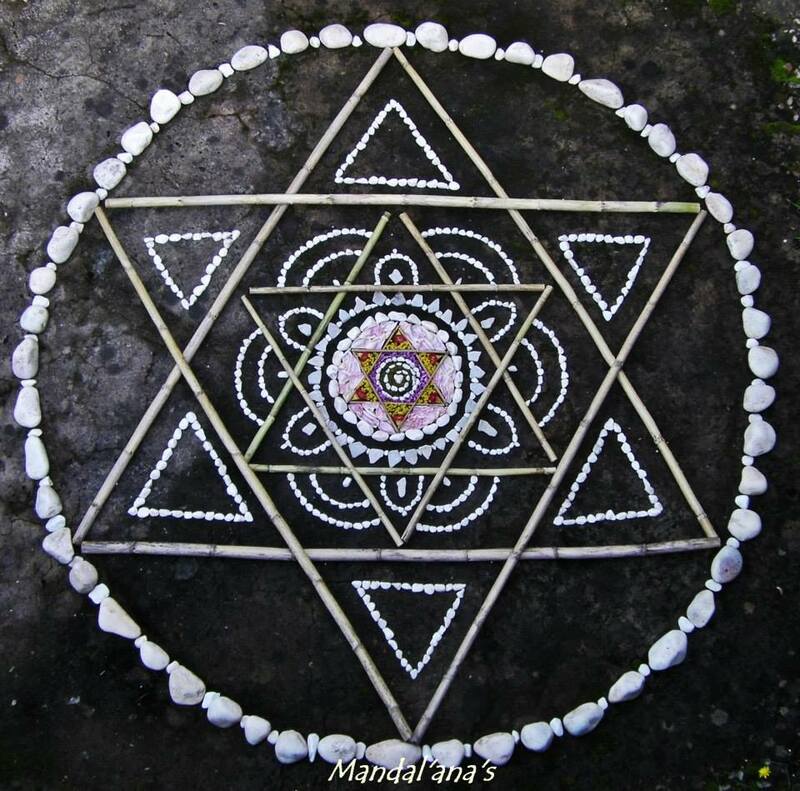 Every mandala she creates Helps me to feel the offering she has made and deepen my connection to Nature’s Healing Beauty. May life find you dancing with glee, with rainbows refracting all around you as the light shining from your heart and the tears of joy that fall from your love struck eyes divinely combine. And as you approach the gateway to your heart’s delight, may you graciously enter, knowing that you are always safely held within the arms of Love… Always and in All ways, loved. 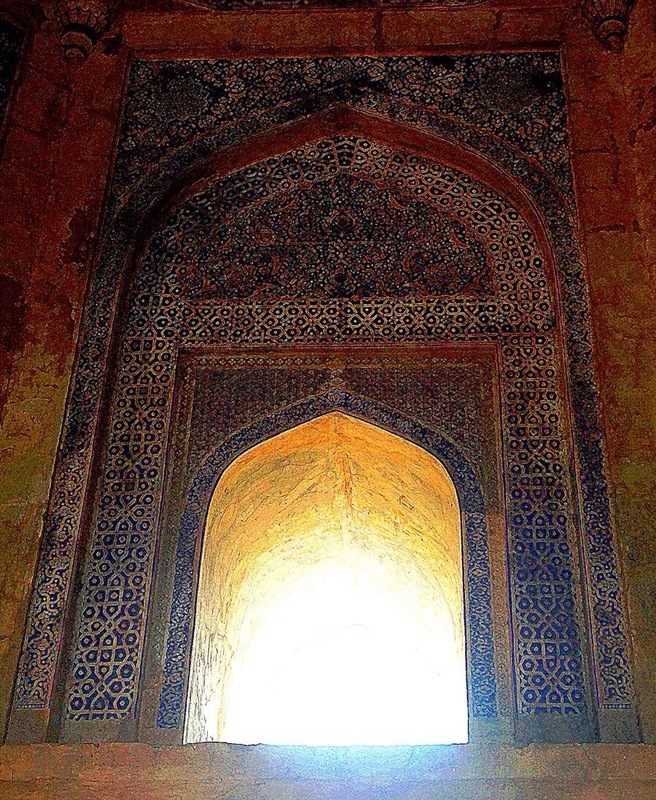 This picture was taken by a friend on a pilgrimage in India.